'Inside NWO-I' appears ten times a year as a digital newsletter. The newsletter is addressed to all NWO-I staff and features items such as practical employer information, a calendar of NWO-I events, a scientific highlight and news from the Central Works Council (COR NWO). The latest edition of the newsletter can be downloaded as PDF in the upper right corner of this webpage. 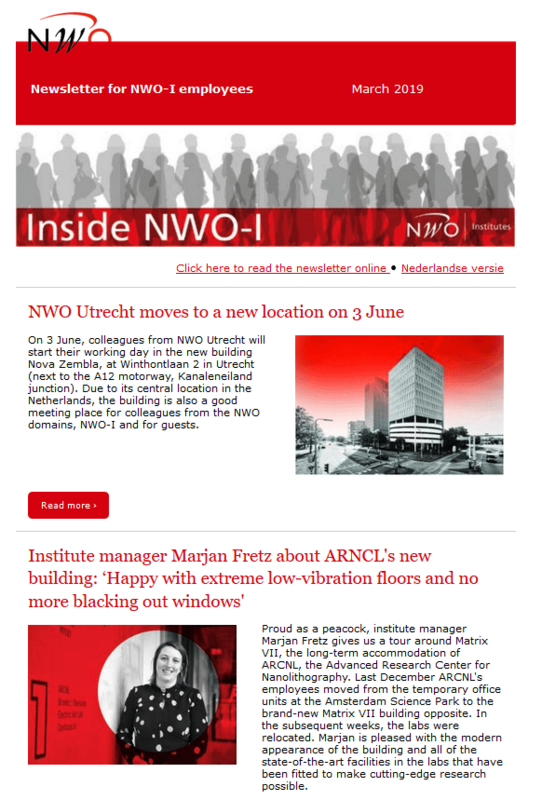 On this webpage you will find an archive of previously published editions of Inside NWO-I (and the former Personnel News NWO-I).